Barnehurst came into existence at the end of the 19th century when the Bexleyheath railway line was built between Dartford and Lewisham. A station was built and named Barnehurst after Colonel Barne, a local property owner and director of the railway company. Although the station opened in 1895 the area was not significantly developed until the mid-1920’s, coinciding with the electrification of the railway line in 1926. 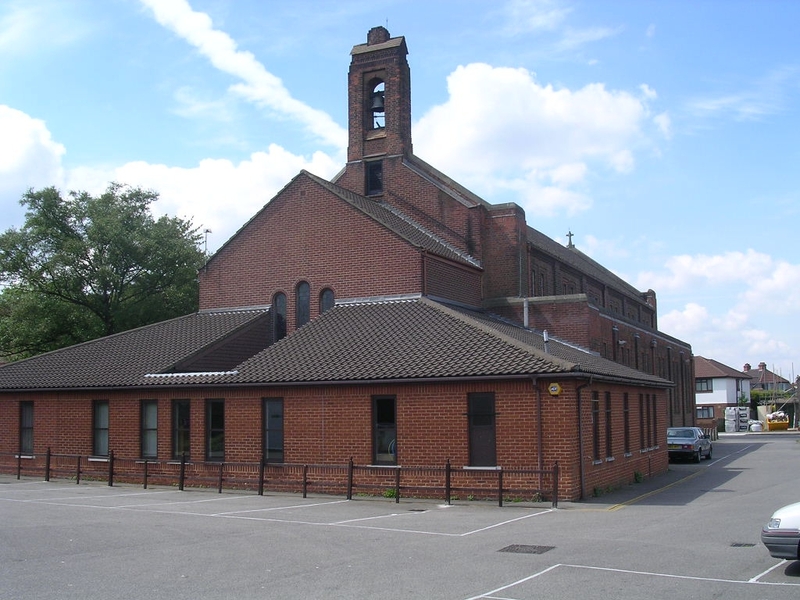 As a result of this development Canon Gedge, the rector of St. Paulinus in Crayford, in whose parish the majority of Barnehurst was located, felt there was a need for a place to worship. A hall was hired in 1931 and for several years used for a Sunday School and Evensong. In 1934 the Bishop of Rochester, the Right Reverend Martin Linton Smith, launched an appeal for the “Twelve Churches Fund” with Barnehurst being one of the areas chosen for a new church. 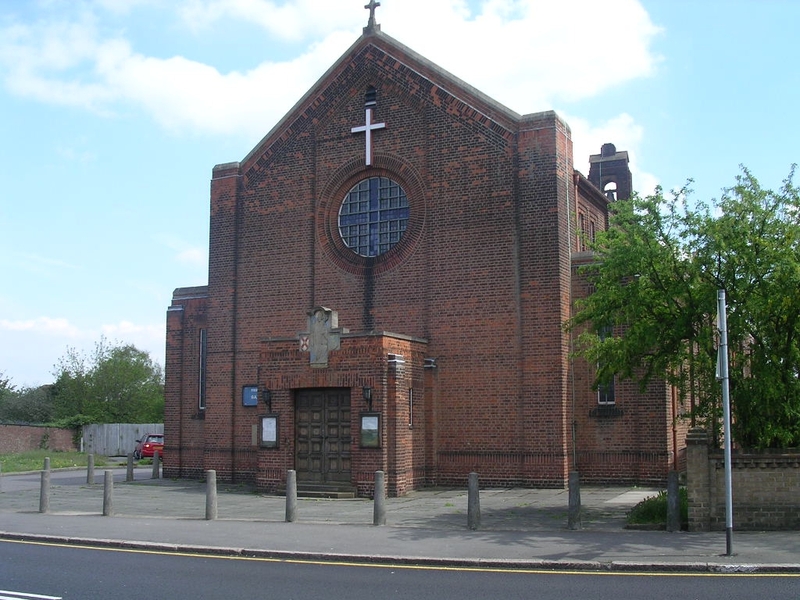 In 1935 a piece of land on Erith Road, in the parish of Christ Church, Bexleyheath, was purchased and in October a large marquee erected and the first service held on Sunday 13th. Later a wooden hall was constructed and on Saturday 29th February 1936 St. Martin’s Church Hall was dedicated by the Bishop and the Reverend Ronald Dalton was licensed as Priest in Charge. 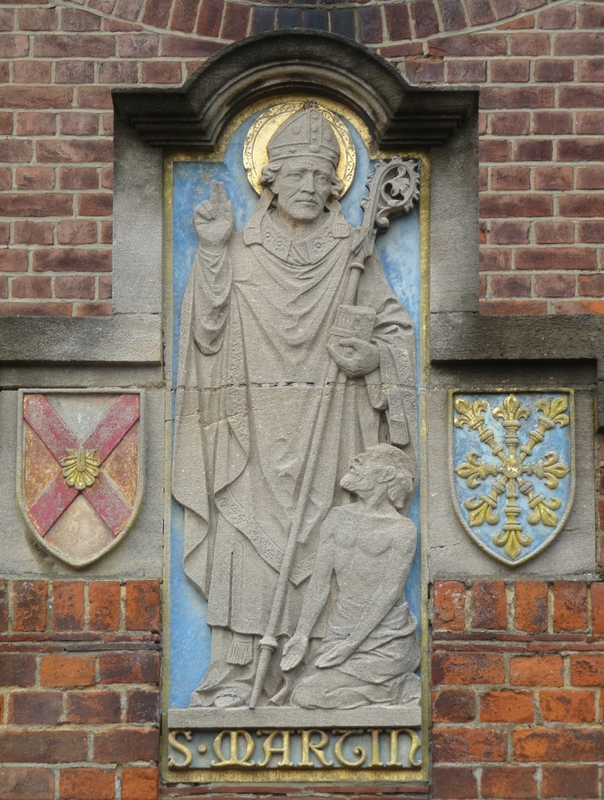 It has been suggested that the Patron Saint (Martin of Tours) was chosen as a mark of gratitude for Bishop Martin Linton Smith's efforts. Work began in April 1936 on the new church building by Pitchers Ltd. of Holloway (with a tender of £6,508); with the “Laying of the Foundation Stone” occurring on Saturday 16th May by Lady Plendar and a blessing by the Bishop. On Saturday 14th November of the same year (just after St. Martin’s Day on the 11th) the Church was consecrated. In the next year Barnehurst became a parish in its own right (created from parts of the parishes of: Christ Church, Bexleyheath; St. Paul's, Northumberland Heath; and St. Paulinus, Crayford), receiving royal assent on 29th July and being "gazetted" on the 6th of August, and on Wednesday 17th October 1937 the Reverend Dalton was instituted and inducted as the first incumbent. Although “finished” in 1937, due to insufficient funds, the church was not completed to the original plans and the building stopped at the end of the nave with a wooden “wall” rather than the intended chancel. 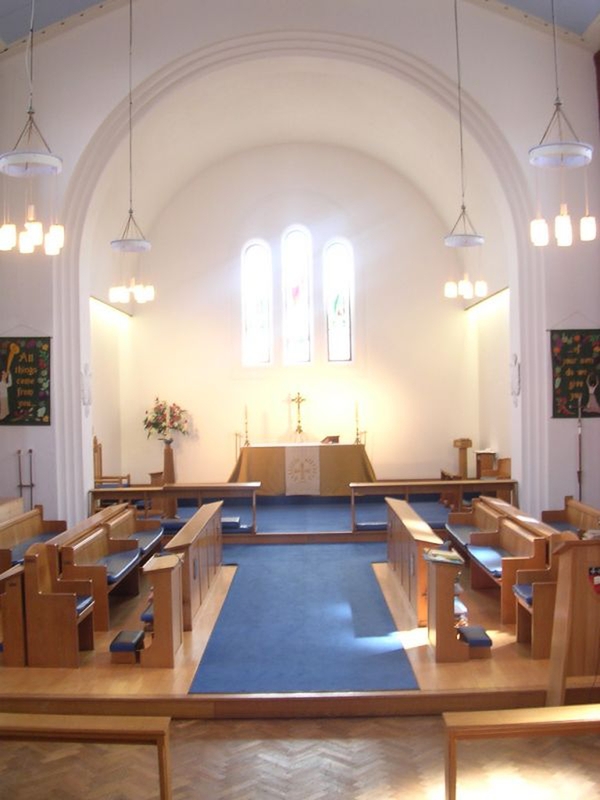 Shortly after the arrival of the Reverend Albert Speers in 1967 it was decided to complete the church and also build new choir and vicar’s vestries and a connecting ambulatory behind a new sanctuary. Work started in July 1970 by A. E. Blackwell of Brampton with a tender of £11,682, and the completed building was consecrated on Saturday 27th March 1971. Other changes incorporated at this time, due to the decision to have a raised sanctuary, was the introduction of the extensive wooden platform for the choir. Unfortunately, this was not the end of the building works as towards the end of the 1980s serious cracking was identified as the 1970's extension was "falling" away from the nave of the church! After much discussion it was decided that the vestries and ambulatory would need to be demolished, allowing access to underpin the sanctuary and then new vestries built. The new plans also included a meeting room, an office space and other facilities, additionally the car park was levelled and tarmac'd. The building was finally completed to its current form and the church re-dedicated on Sunday 14th June 1992. 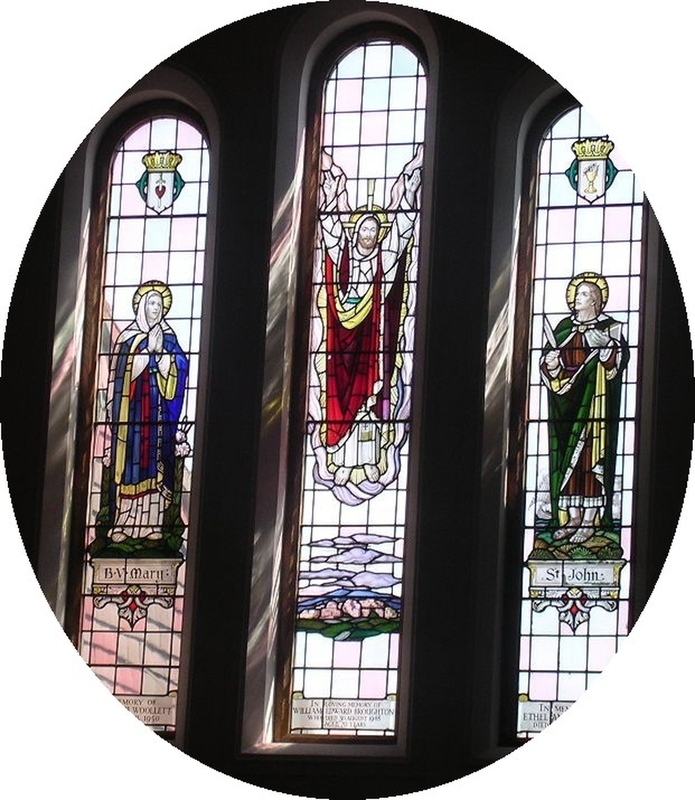 1952 Installation of 3 stained glass windows, in memory of William Edward Broughton and Ethel Annie Woollett. 1966 Replacement of original coke fed furnace by an oil fired furnace, providing the warm air to the church via the grate in the South East corner. 2011 Retirement of existing warm air system and replacement by individual gas heaters. 2016 Replacement of original wooden chairs with padded, fabric covered, metal framed chairs. As mentioned above the original wooden church hall was opened in February 1936 and was used for many years. Eventually, in the late 1950’s plans were drawn up for a new hall, fund raising followed, and the foundation stone of the current building was laid on Saturday 13th December 1958 by the Venerable L. W. Harland, the Archdeacon of Rochester. Building work quickly progressed through the first half on 1959 and on Saturday 11th July 1959 the opening and dedication was led by Bishop Mann. Some years after the hall was opened it was dedicated to our first and long serving Church Secretary Arthur Huxtable. When St. Martin’s was built a house in Risedale Road was used as the vicarage, originally having been rented by the first vicar the Rev'd. Dalton this was purchased by the PCC in 1945 for £1,350. As time passed it was felt that this was not suitable and a permanent vicarage was needed. Fortunately, in 1948 the plot of a former market garden, adjacent to the church, became available and was bought by the Diocesan Board of Finance. Plans were drawn up, fund raising ensued and finally the new vicarage was dedicated by Bishop Chevasse after evensong on Sunday 30th November 1952. When Canon Speers retired in 1987 it became apparent that the vicarage was suffering from subsidence much like the church extension. There was nothing that could be done but demolish the old vicarage and find a new vicarage before the arrival of our new incumbent. Fortunately, a suitable house in Pelham Road was available and so became the current vicarage.